I took a quilted bag class at my one of my favorite quit shops, Unraveled in Spencer In. 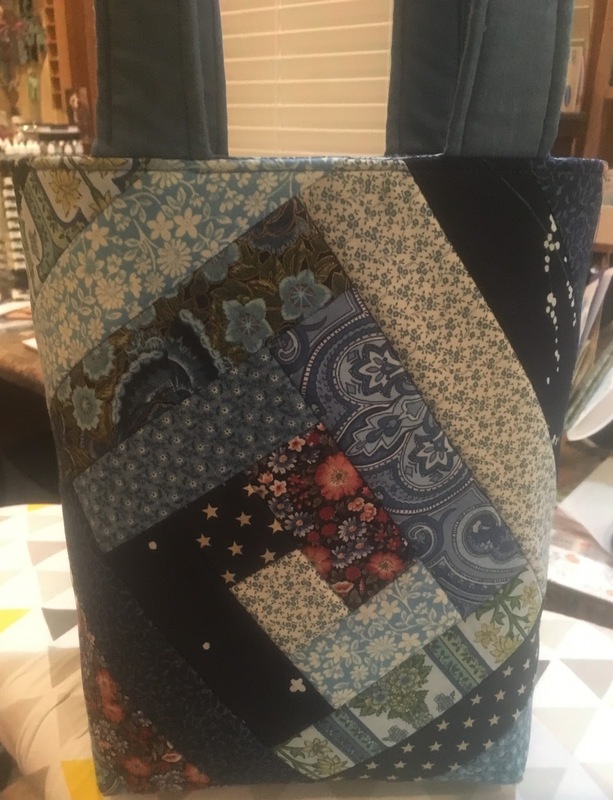 I made this blue bag out of my beloved fabric stash. Lisa the shop owner taught the class, and she always makes thing fun. 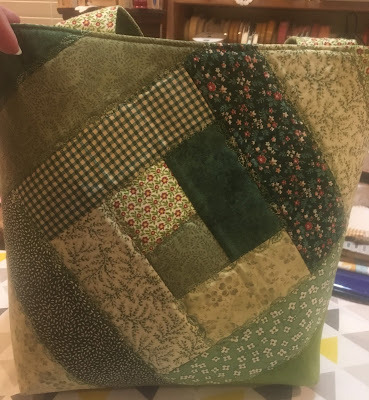 You start with a log cabin quilt block and continue building upon that design, and the back side should end up with a chevron. Well if you do it right, but I wasn't loving the way the second side turned out, so I started a second log cabin, and then because I did that I had to "hide" where it met in the middle. 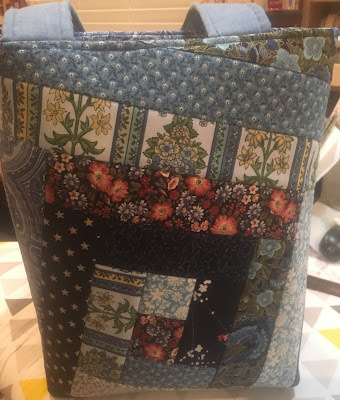 but that was on the bottom of the bag, and so I used a darker blue fabric and I love the way it turned out. Cute all scrappy sides seams. This was such a fun project I made two! 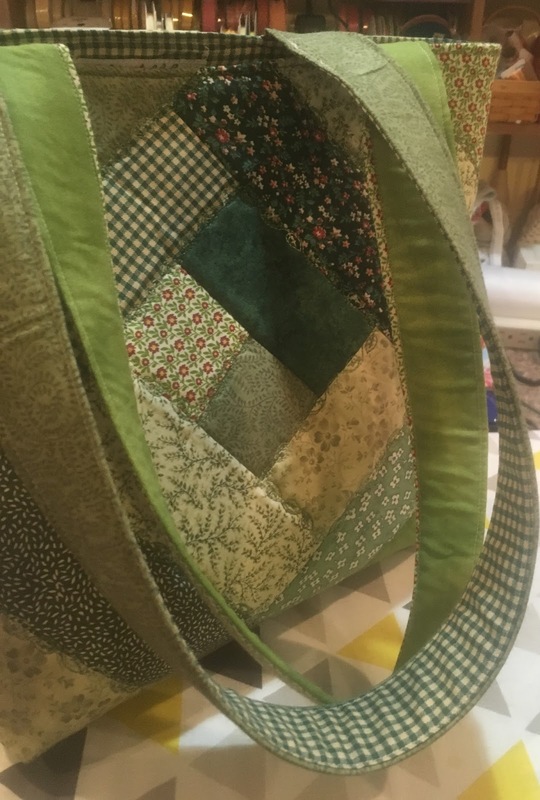 The green bag was given to my mom-in-law for Christmas. She loved it. 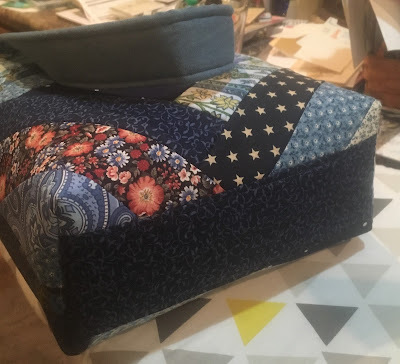 I used a quilt as you go, on stable foam interfacing. Added pockets and a really nice lining to.